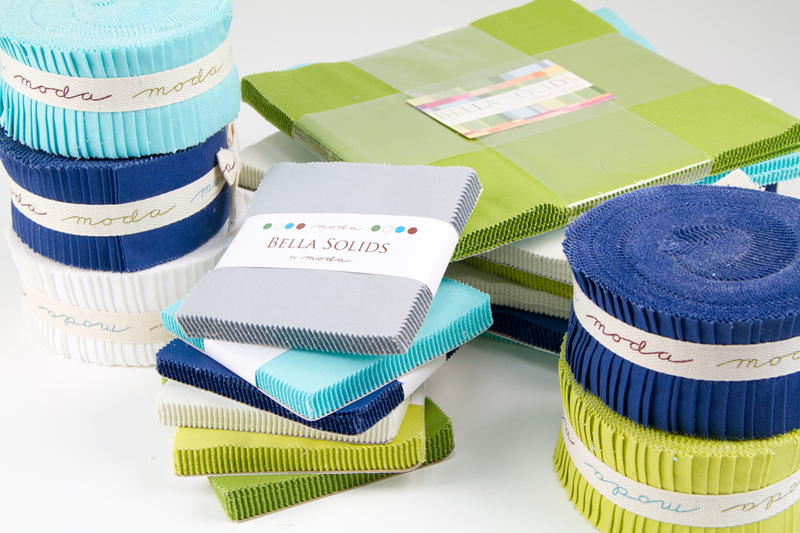 the bella solids precuts in 6 new colors. Combine these new colors with the existing precuts available in classic, red, brown, black, and 3 shades from white to creme for an endless combination. Two colors can be combined to create a modern graphic appeal, your collegiate colors or just imagine the possibilities of adding the bellas to your favorite print line. 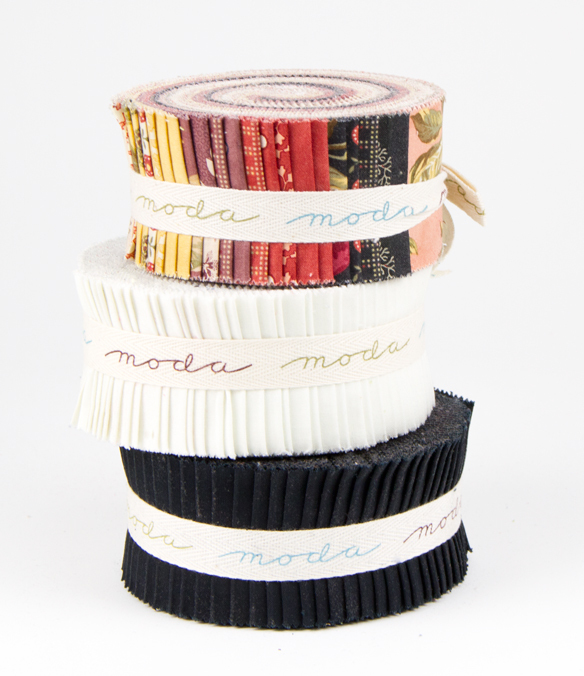 Take a look at Aneela’s new line, A walk in the woods combined with white, silver and red jelly rolls. How about Farmer’s Market by Brannock & Patek with creme and black. Yummy richness! Add a bit of flash to California Girl by Fig Tree with a pop of bella JR188 green along with white and creme. Hello Luscious by Basic Grey goes with so many colors. Even better, mix 2 collections and 2 bellas. Shown above is Little Gatherings by Primitive Gatherings, Farmer’s Market by Brannock and Patek, Brown JR71 and Black JR99. The Classic Howard Marcus line, Friendship will be available in stores March 2012. 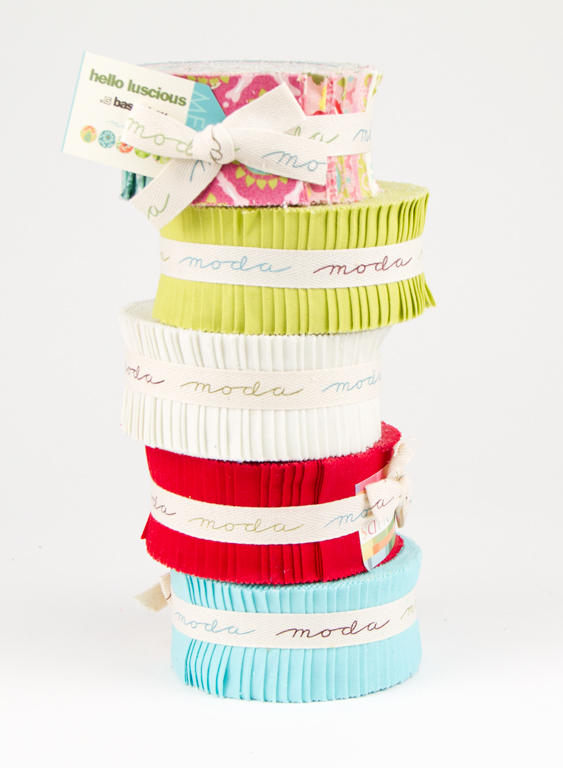 What sophisticated baby wouldn’t love adding silver and creme to Ooh la La by Bunny Hill? Cosmo Cricket’s new line, Salt Air is fresh and airy. Have a ball with Reunion by Sweetwater and all the possible combinations. 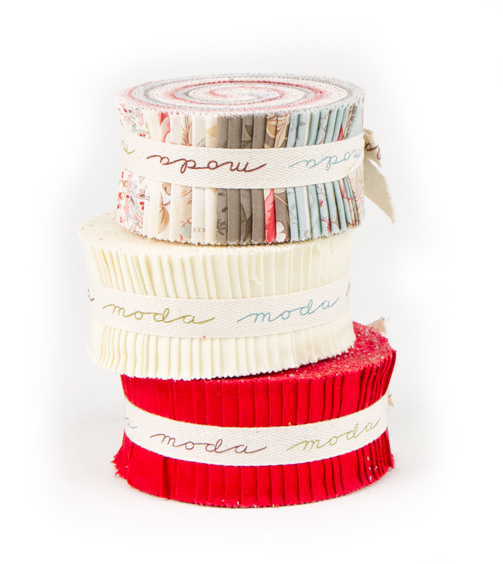 Papillon by 3 sisters expands its uses by adding reds and cremes. Keep in mind that the Bella JR’s can also be used as straight bindings, inner borders. etc. Keep your favorite color on hand for just such uses. All of the print collections featured above will start shipping to stores January through April 2012 so ask for them at your local store. 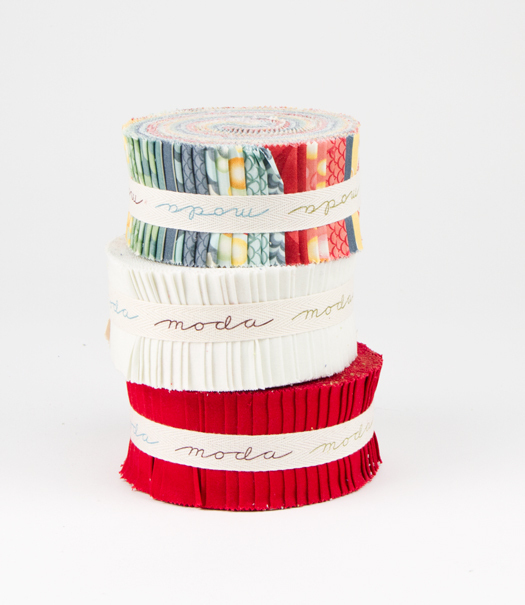 Bella precuts are available now!! 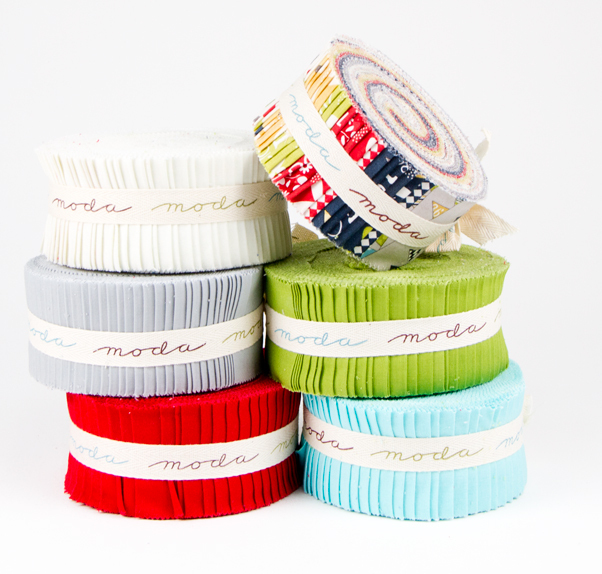 I can’t wait to see what you all create with the Bella Solids by Moda. Oh gosh what wonderful color combinations! And the possibilities are just chilling..maybe that is the weather.. nope.. it is warm here. Must be those pictures giving me goosebumps!! YAY!! 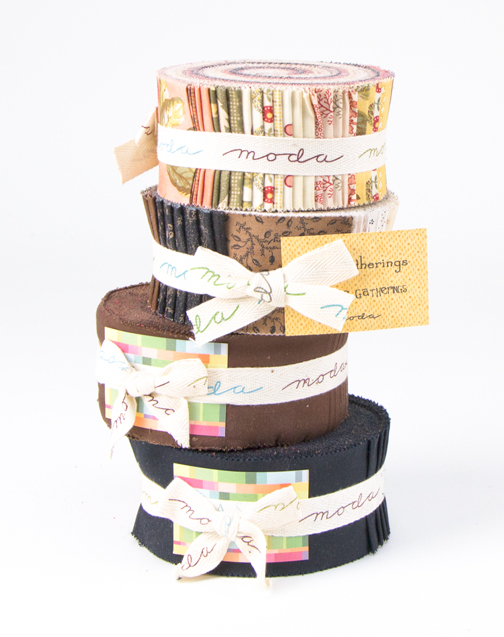 Not only is this the next best thing to the layer cakes and jelly rolls, I love the colors! Very nice combinations. It is amazing how the solids are the thing now. I’m really starting to get into the bella solids. 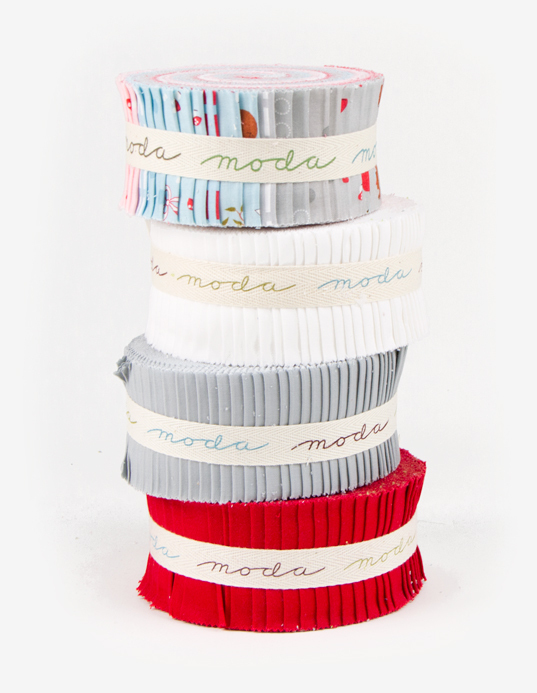 Can you please tell me if there is a grey bella solid that matches the Hometown Collection and the Ruby collection? I love this post! I would love to see Bella solids matched with each line – not necessarily made to go with the line but what actually matches it best. I do 98% of my fabric shopping online and it is hard to do that matching. 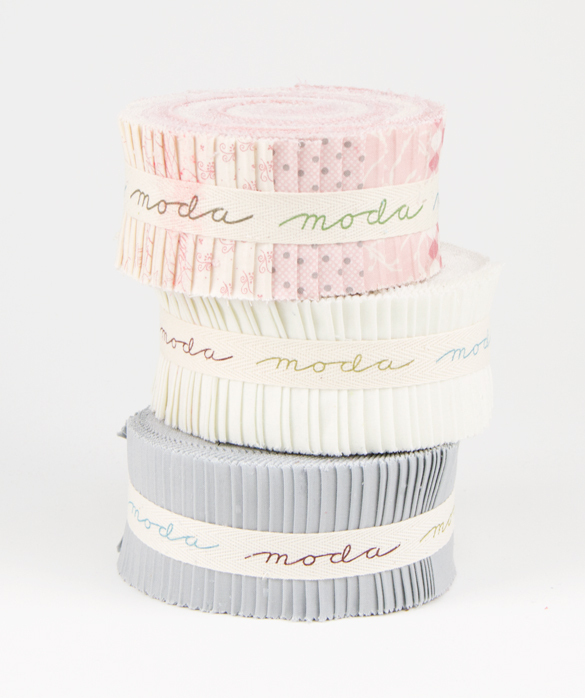 Even if I have a Bella color card I have to wait to have my print fabric in house before I can match it on the card and then have to order the solids. Hey, if you want to give ME that job I’d be MORE than happy to do some matching. 😀 Send the prints to me and of course the updated Bella card! Love the Silver and cream idea. that would really make an awesome baby quilt. Thanks for the idea. 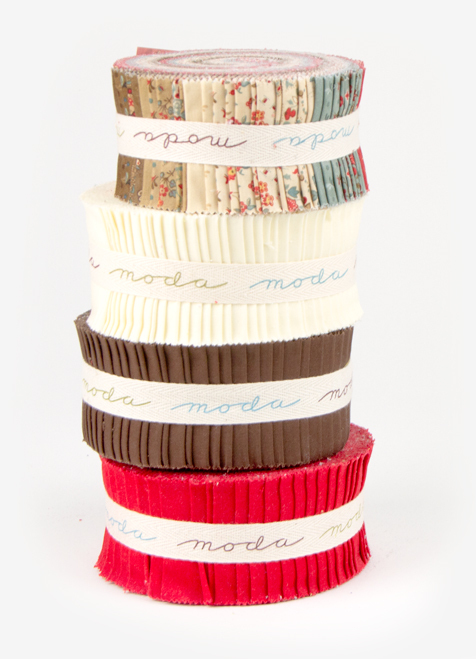 I am so stoked about your new colors of pre-cuts. They are fabulous!! Keep up the good work! Yummy colors! Also loved the Ooh la La. 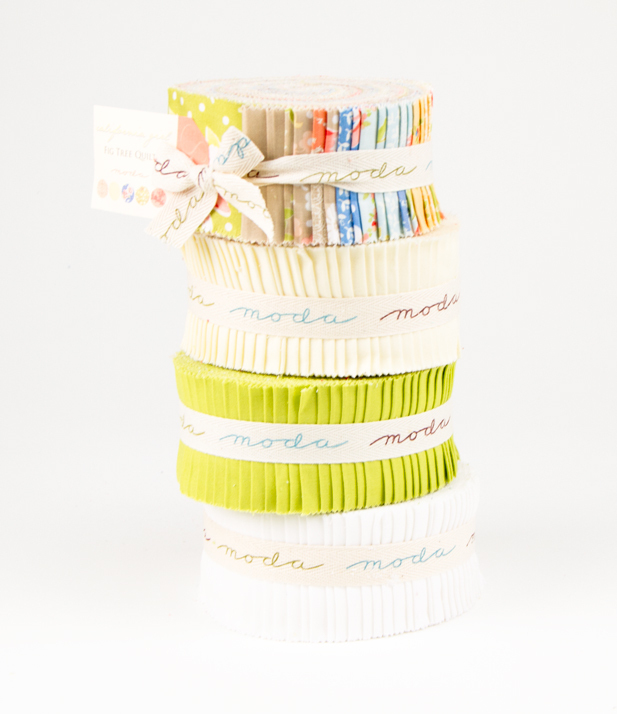 I am so excited about the new Bella pre-cuts to go with the gorgeous Moda fabrics coming out.